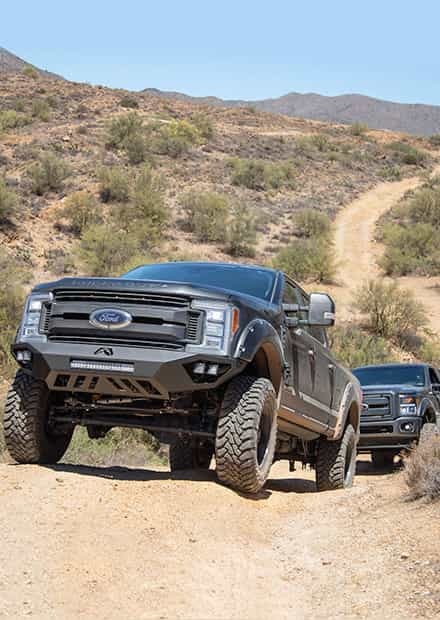 When you throw your truck up in the air with a lift kit, you'll need some massive tires to match. That's where our 38" tires come in. 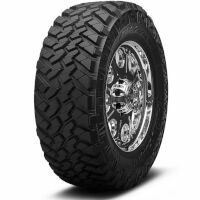 These tires are what the most impressive off-road truck builds need to roll over just about any terrain or obstacle. 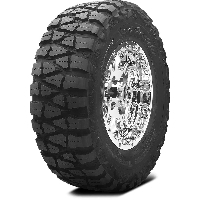 Our aggressive 38" off-road tires come in both Mud Terrain and All Terrain varieties so that you can choose the perfect amount of traction or ride quality you need for your awesome off-road rig. 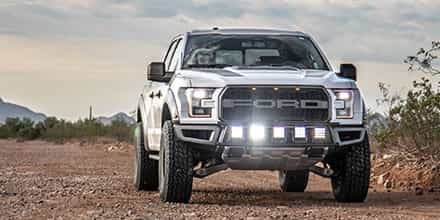 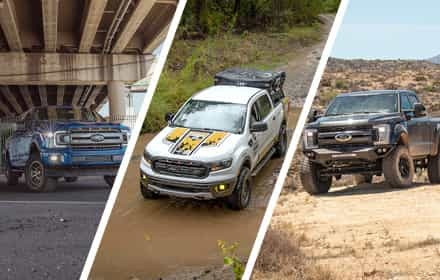 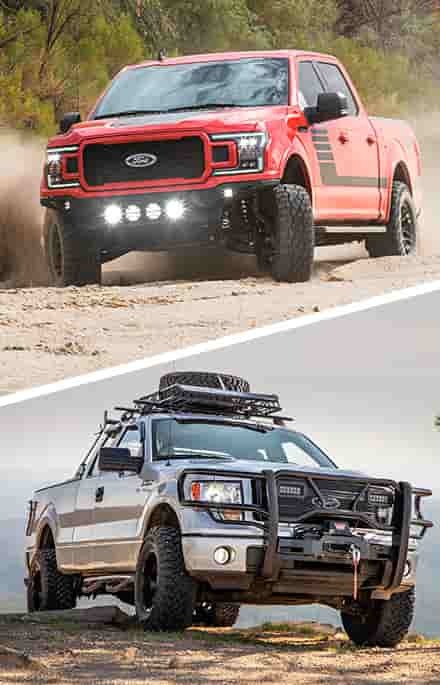 Nothing rounds out an aggressive F150 or Super Duty build more than an awesome custom wheel and off-road M/T or A/T tire combination with huge treads. 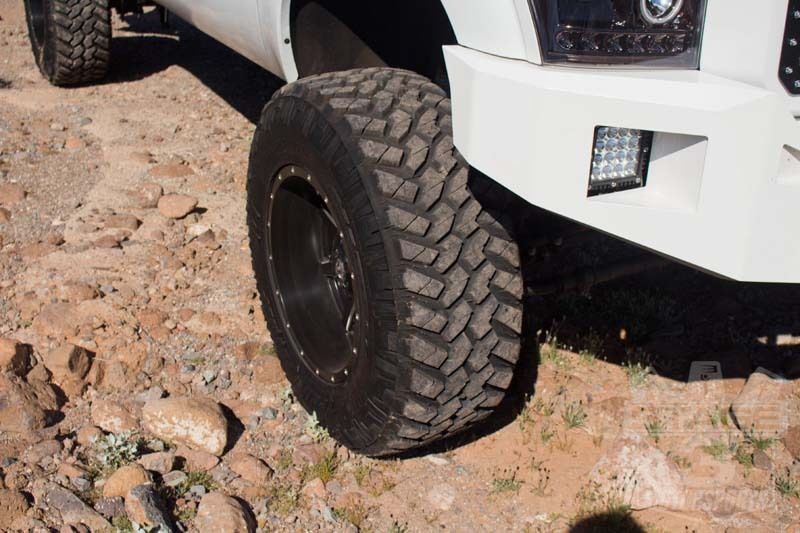 We recently outfitted our 2014 6.7L F250 project truck with a set of 38X13.50R20LT Nitto Trail Grappler M/T Radial Tires. 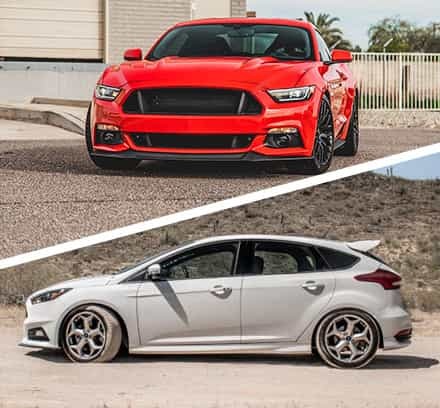 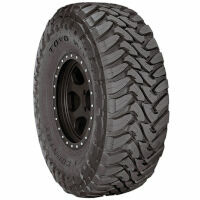 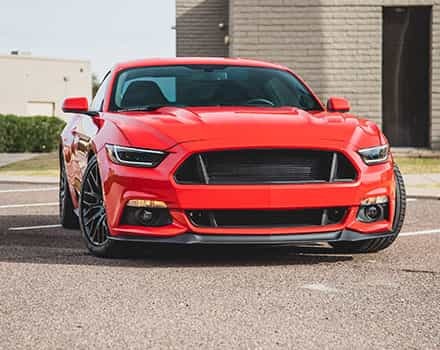 As far as off-road control goes, these rugged tires are the king of the road when it comes to battling off-road trails. 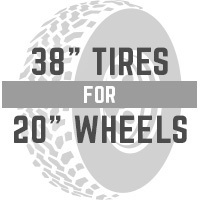 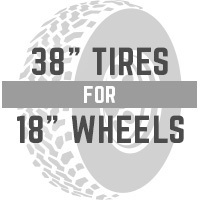 If you're looking for the ultimate in a rough and tough tire for work or fun, these tires 38" tires some of the best you'll find.